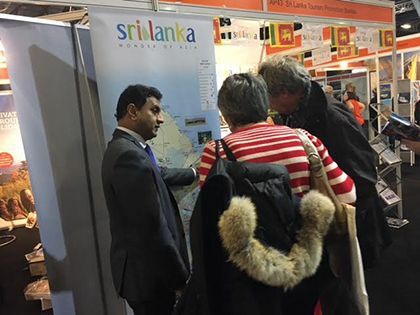 Sri Lanka proved that it was a destination worthwhile exploring, as Sri Lanka Tourism participated at Destinations - The Holiday and Travel Show, in association with The Times, The Sunday Times and Sunday Times Travel Magazine, in January 2018 at the Event City - Exhibition Centre in Manchester. 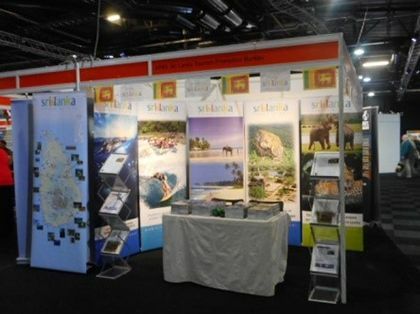 Sri Lanka Tourism’s attendance this year at this show enabled to reach large number of potential visitors to Sri Lanka. The 2018 show had 30,120 visitors which was an 6.7% increase from last year. SLTPB has participated at this show successively, as this is an established event in the tourism calendar in the UK. 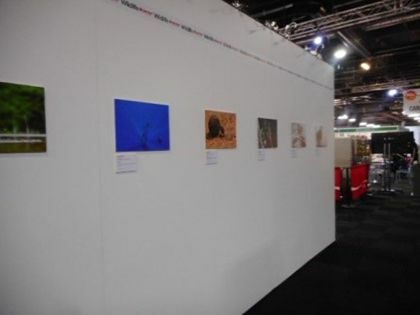 During the four days of the show, SLTPB managed to disseminate tourism material and wildlife leaflets and promote Sri Lanka as a safe tourism destination with a magnificent diversity. 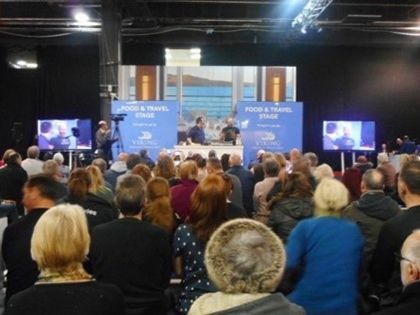 Destinations Manchester show has raised its profile as one of the must attend events in the north. 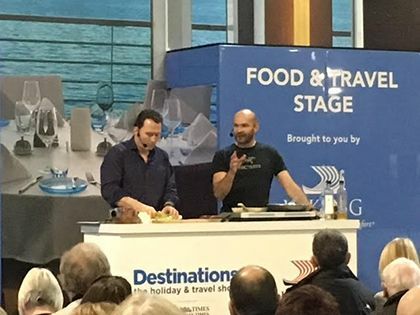 With the presence of a large number of leading and independent tour operators, various tourist boards from around the world, cultural entertainments, cooking demonstrations from various destinations and with the participation of well recognised travel celebrities the show was a great platform for the consumers from the North of England to collate information and book their holidays for 2018 and beyond. This year 98 companies exhibited, of which 21 were Tourist Boards. Majority of the exhibitors in the Indian Ocean section were promoting many countries including Sri Lanka, whilst Earth Trip and Travel the Unknown were promoting a special itinerary covering Jaffna and the Escapes to India who started promoting SL recently had a special focus on our destination. One tour operator conducted a presentation on Sri Lanka which was attended by Nalin Perera from Sri Lanka tourism to assist the operator during Q & A session if there was a need. The experts’ theatres provided free travel advice from destination specialists. 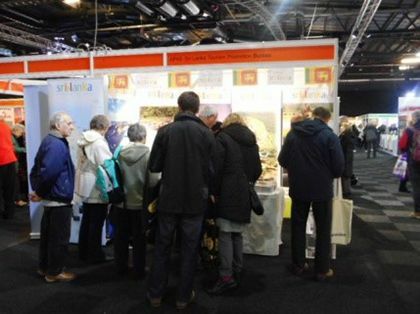 The interest from the visitors from the northern UK to travel to Sri Lanka was very encouraging whilst visitors commented on the increased popularity of the destination in the recent years. They also commented on the endorsements by the leading travel journalists and the amazing articles published recently highlighting the destination. SLTPB also awarded a few mementos to leading travel personnel in the UK. Sri Lankan mementos were presented to Mr David McGuinness – Manager at Travel the Unknown, and Lynn Stewart MD – Escapes to India for recently starting to promote the destination. Another goody bag was presented to Ms Abby Harrison – Sales Manager of Great Rail Journeys. The company started promoting Sri Lanka in 2016. A number of high profile travel companies such as G Adventures, Escapes to India, Great Rail journeys, Travel the Unknown, Camping and Caravan club, India travel, PGL Travels Ltd, Travel Eyes Internationals participated, in order to consider Sri Lanka too in their bucket list of travel destinations. Meetings were also held with the large to medium sized, very high profile operators in the view of promoting the destination and arranging a FAM and destination training. Another factor for the extra footfall was the fact that motor and caravan shows were at the same exhibition hall and people were allowed to enter both shows on one ticket. The Manchester show has become one of the UK's biggest and most exciting consumer events in the northern parts of the UK including areas such as Leeds, Liverpool and Newcastle. The economy of Manchester is amongst the largest in Northern England. Manchester lies within the UK’s second most populous urban area with a population over 2.6 million. Northern Powerhouse project is a proposal to boost economic growth in the North of England by government in the United Kingdom, particularly in the "Core Cities" of Manchester, Liverpool, Leeds, Sheffield, Hull and Newcastle. The Northern Powerhouse forms part of the government’s industrial strategy which will build upon the strong economy and help businesses up and down the country seize the opportunities presented by leaving the EU. The Wanderlust Travel Photo of the Year competition is one of the well-established leading amateur travel photography competitions in the UK. Over 8000 photographers from around the world have entered the competition this year. 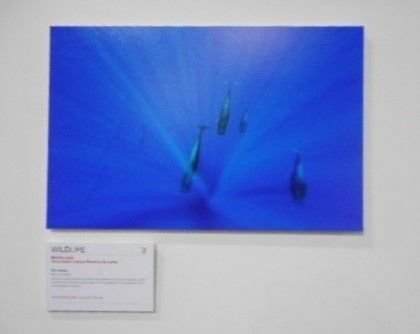 An entry depicting Whales in Sri Lanka has made to the finals and was very prominently displayed in the Wanderlust Travel Photo Gallery. BBC North West produces regional TV news, current affairs and sports output including the flagship nightly news programmes. The channel recorded a special programme covering the Destinations travel show and highlighted a few destinations. 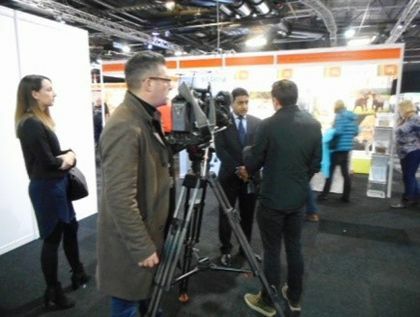 Sri Lanka was chosen as one the destinations to promote and NalinPerera from SLTPB was interviewed to highlight and promote the destination to showcase why Sri Lanka is so special as a destination. Worldwide Motor Homing Holidays is operated by The Camping and Caravanning Club which is 116-years-old and is the largest and oldest Club in the world for all forms of camping. It has 106 award-winning sites throughout the UK and through a partnership with the Forestry Commission, now runs and manages a further 15 camping in the forest touring sites. 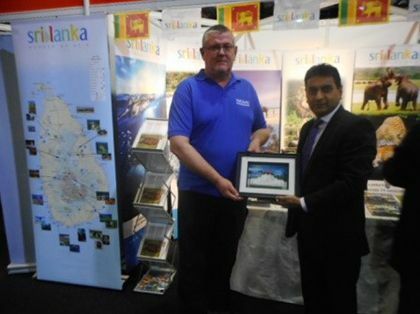 The Camping and Caravanning Club launched a new escorted tour to the unique coastal plain and inland plateaus of Sri Lanka at the Motorhome and Caravan Show at the NEC Birmingham in October 2017. Their first escorted tours will be in 2018 and at the Motor Caravan show, which was adjacent to Destination Travel show, the caravan club was very proactively promoting their special tours to SL. In their club magazine they have also published a two-page feature on Sri Lanka to highlight the destination and their latest tour. SLTPB awarded a memento to the director of the club in recognising their efforts in promoting the destination. An entry displayed at the Wanderlust travel photo of the year competition. Monty Halls is a broadcaster, speaker, naturalist, former Royal Marine, marine biologist, travel writer and leadership specialist. His experience covers over two decades of leading teams in some of the most remote environments on earth, presenting wildlife and adventure documentaries. In 2003 Monty formed his own expedition company, completing four circumnavigations of the globe over the next four years, seeking out the greatest encounters in the ocean. This brought him to the attention of television producers, being head-hunted as a competitor in the flagship Channel 4 show ‘Superhumans’. Thereafter, Monty was in demand to present further series for Channel 4, National Geographic, the History Channel, Channel 5 and the BBC. Monty has produced a clip on SL and is currently having discussions with several UK TV channels for a commission to proceed with a production of a three-partdocumentary on SL. SLPTB UK will be in touch with Monty to assist him on this. In recognition of this project and for the encouragement of promoting the destination, SLTPB awarded a SL memento to Monty at the show. With the considerable choice of holiday options and the competitive offers and propositions to choose from, the visitors were inspired to learn and discover the details of a variety of destinations from the participating companies and experts.